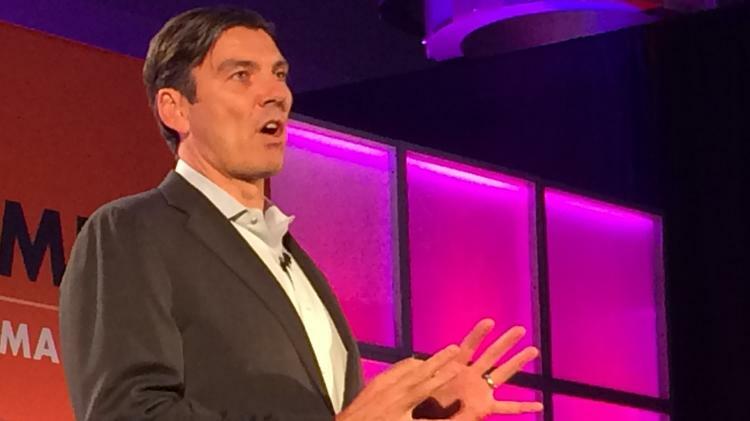 Tim Armstrong, the former CEO and chairman of AOL and a former Google executive, has invested $2 million in Pittsburgh-based Niche. A big name in tech circles is providing his expertise plus a $2 million investment to a Pittsburgh company. Niche, developer of a recruitment platform that helped more than 60 million people chose their school or neighborhood last year, on Thursday said that Tim Armstrong invested $2 million in its $8.6 million Series B financing round and has become an advisor to the company. Armstrong, now CEO and founder of the newly launched dtx company, was formerly CEO of AOL/Yahoo/Oath and president of the Americas at Google. Other investors in Niche’s funding round are Allen & Co. and Grit Capital Partners, both based in New York. Niche’s founder and CEO Luke Skurman launched the company with colleagues at Carnegie Mellon University in 2002. Originally called College Prowler, it rebranded as Niche in fall 2013 and expanded its reach. Skurman was not immediately available for comment. Niche analyzes dozens of data sets and hundreds of millions of ratings and reviews to produce comprehensive rankings, report cards and profiles for every K-12 school, college, neighborhood and major employer in America. Sales for its subscription recruiting platform grew 200 percent in 2018, Niche said, and it now helps more than 800 client schools find best-fit students. A LifeX startup company is taking aim at antibiotic-resistant infections in artificial joints, which have few good treatment options for doctors and consequences for the patient that can be painful and costly. Oakland-based Peptilogics Inc. has received approval from Australia’s Therapeutics Goods Administration to begin the first in-human study of its PLG0206 product, which targets prosthetic joint infections. The clinical trial received ethics approval from the Bellberry Human Research Ethics Committee. Peptilogics is an early clinical stage biotechnology company and among 10 startups in the LifeX portfolio of 16 companies that are seeking to develop therapeutic agents. LifeX is a nonprofit South Side small business accelerator funded by the University of Pittsburgh. Six-year-old Peptilogics, which also has an office in San Jose, Calif., does not yet have revenue. The startup has raised $6.8 million from investors, including Peter Thiel, founder of the Founders Fund of San Francisco; Pine-based BlueTree Venture Fund; and serial entrepreneur Stefan Roever, who lives in Bonn, Germany. The death of his father-in-law in 2004 from a bacterial infection spurred Mr. Steckbeck’s interest in antibiotic-resistant microbes, he said. The company has two full-time employees and 12 contractors. Taking risk is necessary for growth. This series profiles the region’s entrepreneurs, policymakers, scientists and others who have embraced challenges and incorporated new ideas – sometimes the kind that seem a little crazy – into their plans. Infection of an artificial hip or knee joint can arise any time after surgery, a condition Mr. Steckbeck called “heartbreaking,” and affects 20,000 people annually. The number is expected to rise as joint replacement surgeries increase with an aging population. More than 1.2 million hip and knee replacements were performed during the year ending in August, according to the American Academy of Orthopaedic Surgeons. Studies have shown that 1 percent to 2 percent of those operations will result in an infection on the biofilm that forms on the implant. Physician Neel Shah, an infectious disease specialist at the University of Pittsburgh, said that when a new joint becomes infected, sometimes the only option is to remove the prosthesis, a procedure that has a success rate ranging between 80 percent and 90 percent. Treatment of an infection with the joint in place has a variable overall success rate, between 20 percent and 80 percent. One choice for treating a joint without removal of the implant is opening the incision and flooding the new joint with an antibiotic solution, a practice that Mr. Steckbeck called a “powerwash.” The procedure often fails, he said, and the cost of treating prosthetic joint infections can reach $100,000. In a recent experiment, Peptilogics created an infected biofilm on an artificial joint before saturating the implant with commonly used antibiotics, Mr. Steckbeck said. Not all of the bacteria were killed, even after 24 hours of exposure. But with the Peptilogics product, which is being developed as an injectable drug, essentially all of the bacteria were dead within 30 minutes. The first Food and Drug Administration-approved trial in humans is anticipated at the end of 2019, Mr. Steckbeck said. If all goes well, the drug could be commercialized for use in the U.S. within a few years, he said. Expedia Group’s $21.5 million acquisition of Chicago-based ApartmentJet Inc. translates into a windfall for angel investors in Pittsburgh. BlueTree Venture Fund and BlueTree Allied Angels will realize a 4.3 times return on its combined $450,000 investment in less than a year, said Catherine Mott, founder, CEO and managing partner of 15-year-old Wexford-based BlueTree Capital Group LLC. “This is the quickest exit we have ever experienced,” Mott said. The venture fund invested $150,000 in ApartmentJet last November and the angel group invested $300,000 in the young company in February, she said. In February, Pittsburgh-based Wombat Security Technologies, a security awareness and training software firm, was acquired for $225 million by Proofpoint, a Silicon Valley cybersecurity company. BlueTree Allied Angels invested $266,500 in Wombat over a three-year period. BlueTree Venture Fund has $10 million and BlueTree Allied Angels has $40 million under management. ApartmentJet is a web-based platform to help multifamily property owners and management companies take advantage of the growing market for short-term rentals.